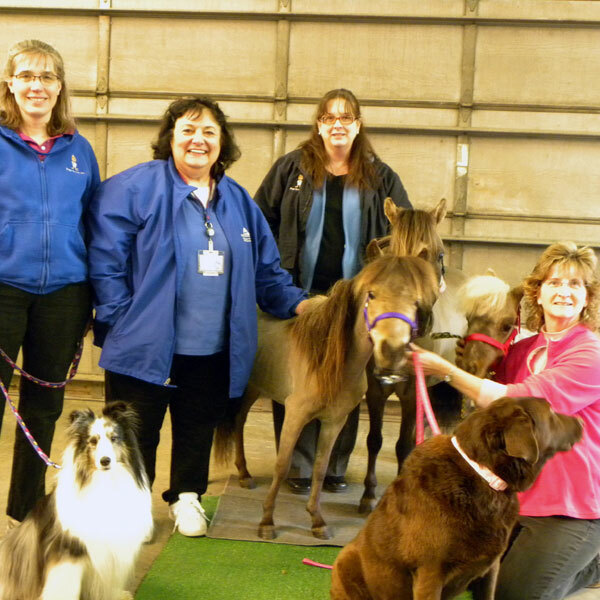 Testing Minis | Dogs On Call, Inc.
Artie, Gina, and Laura & Kooper tested three mini-horses and a dog a few weeks ago. They all belonged to Carolyn Peterson who took our January class. We drove a couple of hours north, Carolyn drove a couple of hours south and we met in Durand, WI. Ruby, a Golden/Lab, and the three minis’, Smokey, Promise, and Tink passed with flying colors. Welcome Carolyn and crew to Delta and Dogs On Call.